Home »Dr. Julie Ekasari, S.Pi., M.Sc. Dr. Julie Ekasari, S.Pi., M.Sc. Born in 1977, Dr. Julie is a lecturer in the Department of Aquaculture, Faculty of Fisheries and Marine Science, Bogor Agricultural University (BDP-FPIK-IPB) since 2005. 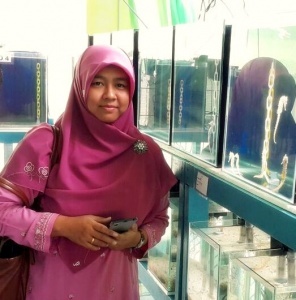 She has been studying and performing research in bioflocs technology in aquaculture systems since 2007, during which she has published some scientific papers in reputable national and international journals. She also interested in fish nutrition in particular the development of functional feed and alternative feed ingredients. 2008 Magister in aquaculture, Ghent University, Belgium. 2014 PhD in aquaculture, Ghent University, Belgium. Widanarni, Ekasari, J., Maryam, S., 2012. Evaluation of Biofloc Technology Application on Water Quality and Production Performance of Red Tilapia Oreochromis sp. Cultured at Different Stocking Densities. Hayati Journal of Biosciences 19, 73 – 80. Widanarni, Yuniasari, D., Sukenda, Ekasari J., 2010. Nursery Culture Performance of Litopenaeus vannamei with Probiotics Addition and Different C/N ratio Under Laboratory Condition. Hayati Journal of Biosciences 17, 115 – 119. Ekasari, J., Crab, R., Verstraete, W., 2010. Primary nutritional content of bio-flocs cultured with different organic carbon sources and salinity. Hayati Journal of Biosciences 17, 125–130. Ekasari, J., Zairin, Jr M., Putri, D.U., Sari, N.P., Surawidjaja, E.H., Bossier, P., 2013. Biofloc-based reproductive performance of Nile tilapia Oreochromis niloticus L. broodstock. Aquac. Res. 1 – 4. Ekasari, J., Angela, D., Waluyo, S.H., Bachtiar, T., Surawidjaja, E.H., De Schryver, P., 2014a. The size of biofloc determines the nutritional composition and the nitrogen recovery by aquaculture animals. Aquaculture doi: 10.1016/j.aquaculture.2014.01.023. Ekasari, J., Azhar, M.H., Surawidjaja, E.H., Nuryati, S., De Schryver, P., Bossier, P., 2014b. Immune response and disease resistance of shrimp fed biofloc grown on different carbon sources. Fish Shellfish Immunol. 41, 332 – 339. Suprayudi, M.A., Ihu, M.Z., Utomo, N.P. and Ekasari, J., 2014. Protein and energy: protein ratio in diets for juvenile bluefin trevally Caranx melampygus. Journal of Applied Aquaculture, 26(2), pp.187-196. Rohmana, D., Surawidjaja, E.H., Sukenda, S., Ekasari, J., 2015. Water quality and production performance of catfish prawn co-culture with organic carbon source addition. Aquacult. Int. 23, 267 – 276. Jusadi, D., Ruchyani, S. and Ekasari, J., 2015. Improvement of survival and development of Pacific white shrimp Litopenaeus vannamei larvae by feeding taurine enriched rotifers. Jurnal Akuakultur Indonesia, 10(2), pp.131-136. Suprayudi, M.A., Yaniharto, D., Priyoutomo, N., Kurnianto, A., Ekasari, J., Jusadi, D. and Haga, Y., 2015. Evaluation of Practical Diets Containing High Levels of Corn Distillers Dried Grains with Soluble on Red Tilapia Floating Net Cage Production Performance. Pakistan Journal of Nutrition, 14(10), p.708. Suprayudi, M.A., Jusadi, D. and Ekasari, J., 2015. Growth and immune response of Litopenaeus vannamei fed on β-(1, 3) glucan and poly-β hydroxybutyrate. Jurnal Akuakultur Indonesia, 12(2), pp.121-127. Ekasari, J., Rivandi, D.R., Firdausi, A.P., Surawidjaja, E.H., Zairin, M., Bossier, P. and De Schryver, P., 2015. Biofloc technology positively affects Nile tilapia (Oreochromis niloticus) larvae performance. Aquaculture, 441, pp.72-77. Azhar, M.H., Supriyono, E., Nirmala, K. and Ekasari, J., 2016. Organic carbon source and C/N ratio affect inorganic nitrogen profile in the biofloc-based culture media of Pacific white shrimp (Litopenaeus vannamei). ILMU KELAUTAN: Indonesian Journal of Marine Sciences, 21(1), pp.23-28. Bossier, P., De Schrijver, P., Defoirdt, T., Ruwandeepika, H.A.D., Natrah, F., Ekasari, J., Toi, H., Nhan, D., Tinh, N., Pande, G. and Karunasagar, I., 2016. Microbial Community Management in Aquaculture. Procedia Food Science, 6, pp.37-39. Ekasari, J., Napitupulu, J.L.F. and Surawidjaja, E.H., 2016. Immunity and growth of freshwater prawn fed with dietary β-glucan supplementation. Jurnal Akuakultur Indonesia, 15(1), pp.41-48. Ekasari, J., Suprayudi, M.A., Wiyoto, W., Hazanah, R.F., Lenggara, G.S., Sulistiani, R., Alkahfi, M. and Zairin, M., 2016. Biofloc technology application in African catfish fingerling production: The effects on the reproductive performance of broodstock and the quality of eggs and larvae. Aquaculture, 464, pp.349-356. Suprayudi, M.A., Hajiali, F., Utomo, N.B.P., Ekasari, J. and Fauzi, I., 2016. Evaluation of Smoked Skipjack Processing Byproduct Meal as an Alternative Feed Ingredient for Juvenile Humpback Grouper Cromileptes altivelis. HAYATI Journal of Biosciences. Wiyoto, W., Sukenda, S., Harris, E., Nirmala, K., Djokosetiyanto, D. and Ekasari, J., 2016. The effects of sediment redox potential and stocking density on Pacific white shrimp Litopenaeus vannamei production performance and white spot syndrome virus resistance. Aquaculture Research. Suprayudi, M.A., Maeda, M., Hidayatullah, H., Widanarni, W., Setiawati, M. and Ekasari, J., 2016. The positive contributions of PowerLac™ supplementation to the production performance, feed utilization and disease resistance of Nile tilapia Oreochromis niloticus (L.). Aquaculture Research. Ekasari, J., E.H. Surawidjaja, Zairin Jr. M., De Schryver P., Bossier, P. Positive effects of biofloc systems on nile tilapia offspring production. World Aquaculture Society Asian Pacific Chapter. Surabaya, April 26 – 29, 2016. Oral Presentation. Ekasari, J., Angela, D., Waluyo, S.H., Bachtiar, T., Surawidjaja, E.H., Bossier, P., De Schryver, P. Utilization of biofloc with different particle size by Pacific white shrimp, red tilapia and mussel. World Aquaculture Society, Asia-Pacific Chapter. Ho Chi Minh City, Vietnam December 9 – 10, 2013. Oral Presentation. Suprayudi, M.A., Ekasari, J., Fauzi, I.A., Aritama, P., Cahaya, K.D. Apparent digestibility of rubber seed meal, cocoa pod meal, and corn cob meal in red tilapia Oreochromis niloticus and giant gourami Osphronemus gouramy diet. World Aquaculture Society, Asia-Pacific Chapter. Ho Chi Minh City, Vietnam December 9 – 10, 2013. Oral Presentation. Ekasari, J. The benefits and challenge of biofloc based shrimp culture system. International Symposium on Aquatic Product Processing. 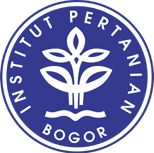 Bogor, 13 – 15 November 2013, Indonesia. Oral Presentation. Ekasari, J., Zairin, Jr. M., Putri, D.U., Sari, N.P., Widanarni, Surawidjaja, E.H., Bossier, P. Biofloc based reproductive performance of Nile tilapia broodstock. World Aquaculture Society. Nashville, USA, 21 – 25 February 2013. Oral Presentation. Ekasari J., Widanarni, Maryam S. Water quality and production performance of red tilapia intensive culture with biofloc technology. World Aquaculture Society. Kochi, India, 2011. Oral Presentation.